Nigel was admitted to legal practice in July 2016 and joined Robertson Hayles Lawyers as a solicitor in April 2017. 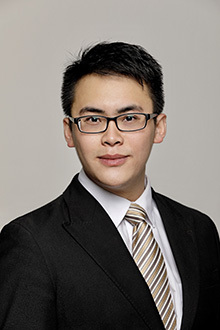 He graduated with a Bachelor of Laws from Murdoch University in 2015 and a Graduate Diploma of Legal Practice from the Australian National University in 2016. Prior to joining Robertson Hayles Lawyers, Nigel pioneered Perth based startup Fourth Side Technologies as its New Markets Advisor. He also assisted international clients investing in small to medium sized commercial developments in Perth. With his commercial background, Nigel believes that lawyers must place themselves in the position of their clients and offer commercially realistic solutions and embrace innovation when dealing with legal issues. Nigel’s strength lies in his ability to understand the concerns of both international and local clients and in his commercial approach in resolving legal issues. Nigel is passionate about making a difference in the community and is involved in various community organisations. In 2014, he was elected as Vice President of the Murdoch University International Student Association (MISA). He is currently a serving member of the City of Melville’s Youth Advisory Council and the Australia Malaysia Business Council (AMBC). Nigel assists primarily in commercial law, property law, criminal law and family law.